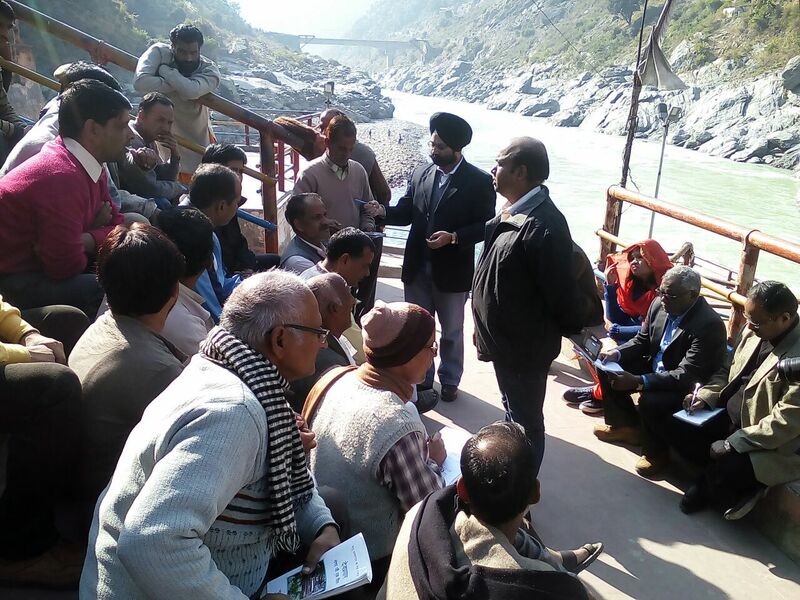 In an event, which is being interpreted by Uttarakhand civil society as suggesting how the Government of India is not serious about preserving Ganga as a national river, a five-person official committee on December 10 reached Devpryag to assess the impact of dams on the river, without allegedly providing any proper information about its proposed visit. Activists of Matu Jansangathan, a grassroots organization, said, while local people were summarily ignored about the decision of the committee to reach Devprayag, local contractors were all present for consultation. It is at Devprayag that Bhagirathi and Alaknanda meet, leading to the formation of Ganga as national river. Though reaching late, representatives of the Matu Jansangathan managed put forward their demand complete ban on proposed dams on Ganga, including cancellation of 24 hydropower projects. Pointing out that there is no need for rethinking, a petition handed over to the Ministry of Environment, Forests and Climate Change (MoEFCC) committee gave the example of how the Srinagar dam of Uttarkhand was responsible for massive floods in June 2013. When committee members asked people about their grievances regarding dams, Rajendra Negi and Sudershan Sah of Matu Jansangthan pointed towards why big dams should not be built, giving the example of the impact of the already constructed dams. A group of people from Srinagar, arguing against big dams on Ganga, argued that any obstruction on the river would also impact the cultural and religious significance of the river. Matu Jansangathan activists noted how they came to know from a local Hindi newspaper on December 9 on the proposed visit of the committee. However, they regretted, no prior information was provided about the proposed dams on the river to the local people. It was also suggested how, because of the dams being constructed on Mahamaheshwar and Kali rivers, the whole Mandakini Valley is facing problem of landslides. The same situation has taken shape in Bhagirathi Valley, it was added. 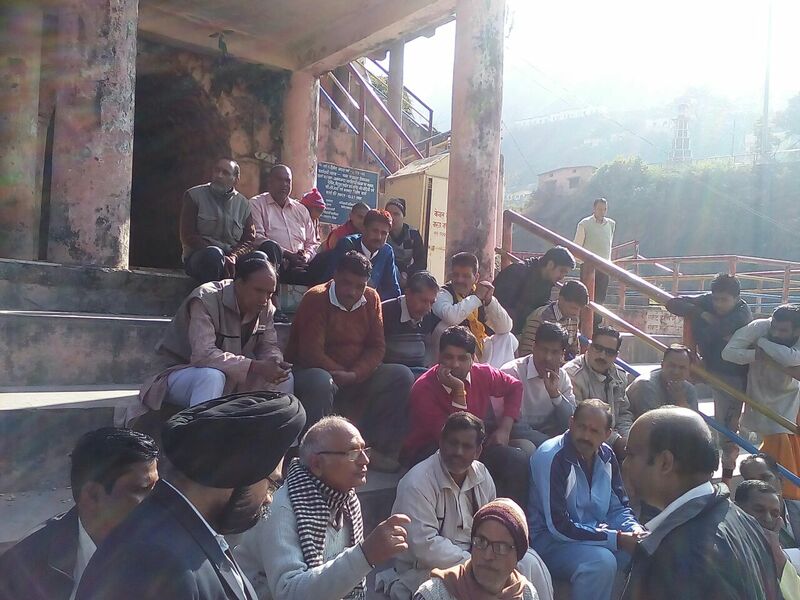 The petition to the MoEFCC said that recent years people have had to be vacated because of the unannounced water released from Tehri dam. In 2016 one Sadhu Gopal Maniji organized Gau-Ganga katha at Triveni Ghat in Rishikesh. Sudden release of water left them almost dead; somehow the local administration saved their life. Pointing out that people in the region are living an insecure region, the petition gave examples of frequent landslides adjacent to the Kotli Bhel project; in one incident, National Hydro Power Corporation’s (NHPC’s) office got damaged.